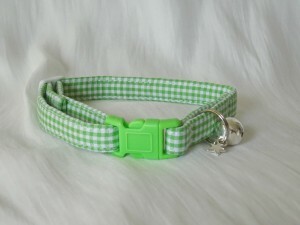 We make both webbing collars and cotton collars. We’ve received fantastic feedback on our handmade cotton collars which has spurred us on to add more to our collection. Sometimes cats don’t like to wear collars at all and we find that some cats prefer the cotton collars to the nylon webbing ones. 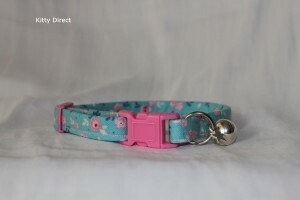 In fact owners have said that where previously their cats have got rid of or tried to tear off their webbing collars, they have kept their cotton collars on and aren’t too bothered about wearing them. 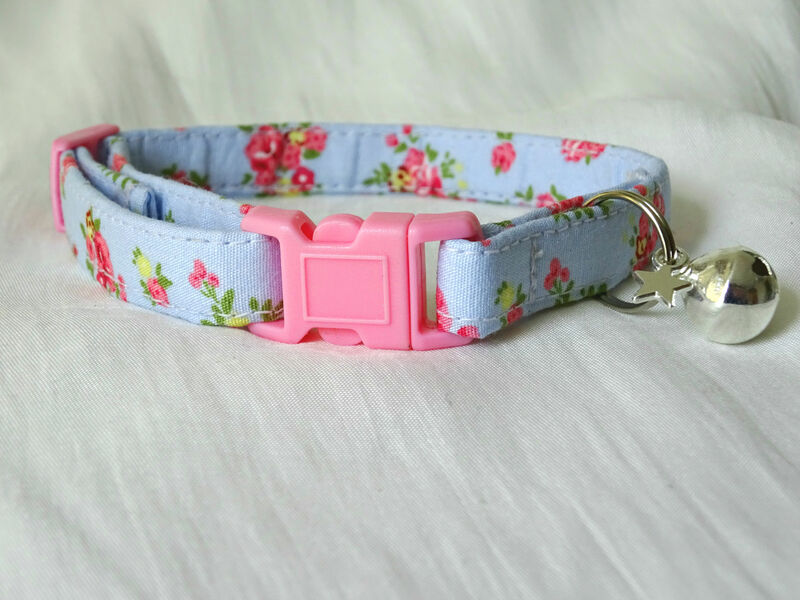 This is more than likely because cotton collars are so lightweight, cats hardly notice that they are wearing them, so they decide that they don’t mind them and keep them on! 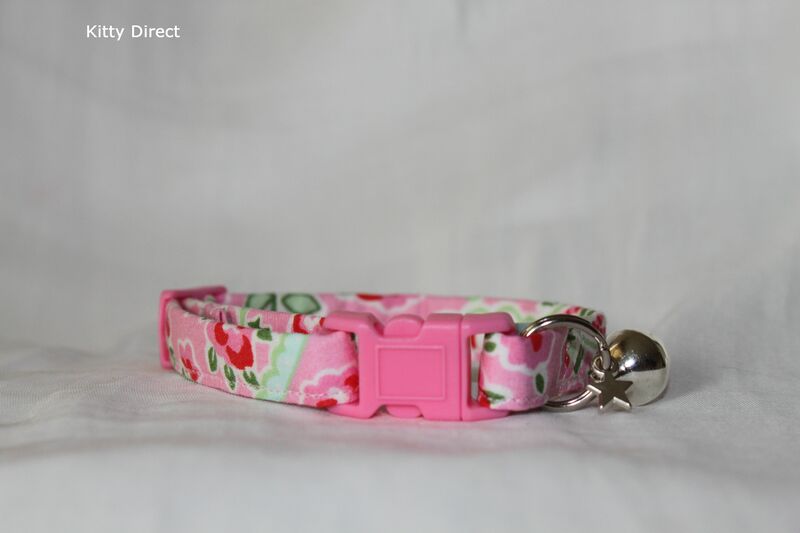 Of course it doesn’t mean to say that webbing collars are bad or worse for your cat, it will depend on your preference as an owner and ultimately what your cat prefers to wear. 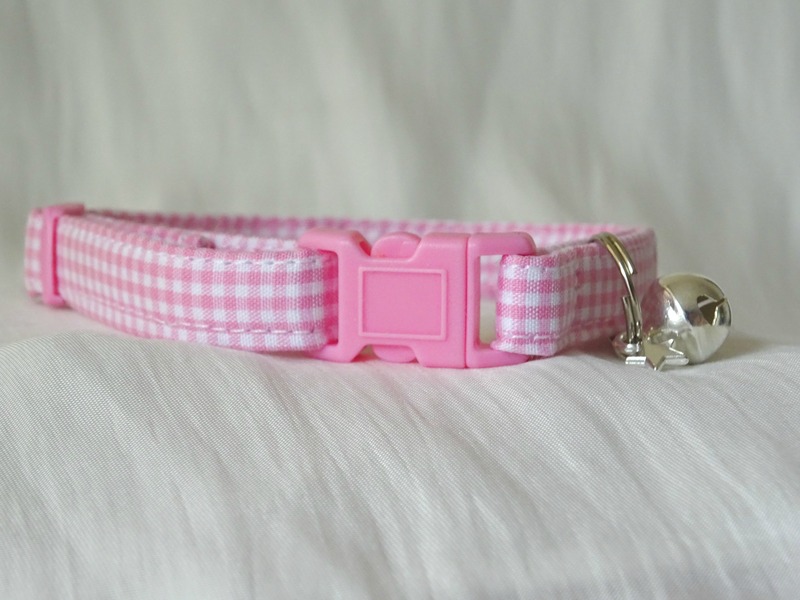 Both cotton collars and webbing collars are soft on your cat. 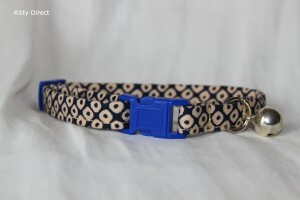 Our handmade, made-to-order cotton cat and kitten collars come in two sizes for the perfect fit and are very comfortable as they are soft, light and flexible to wear. 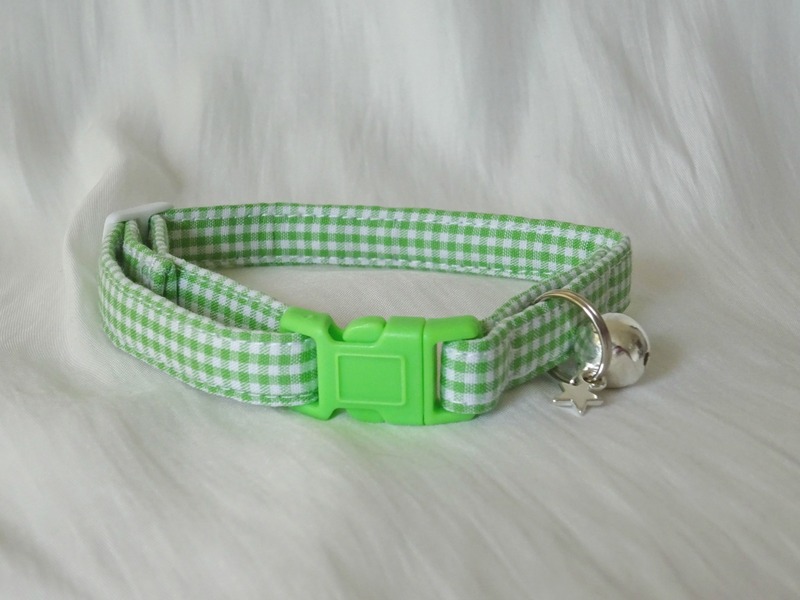 They are also very durable and will last as we make them with quality cotton materials including lined cotton interfacing to increase durability which helps the collar to be even more robust and keep it’s form and shape. 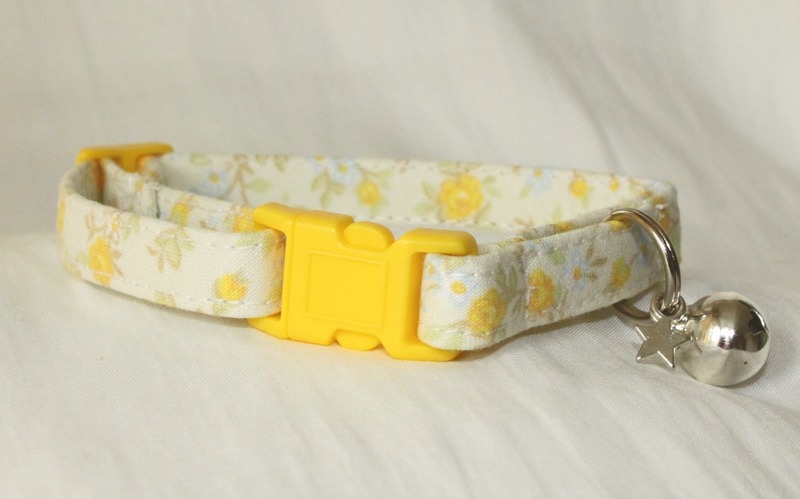 You can also spot clean or lightly sponge down cotton collars to keep them clean, so they are easy to maintain. 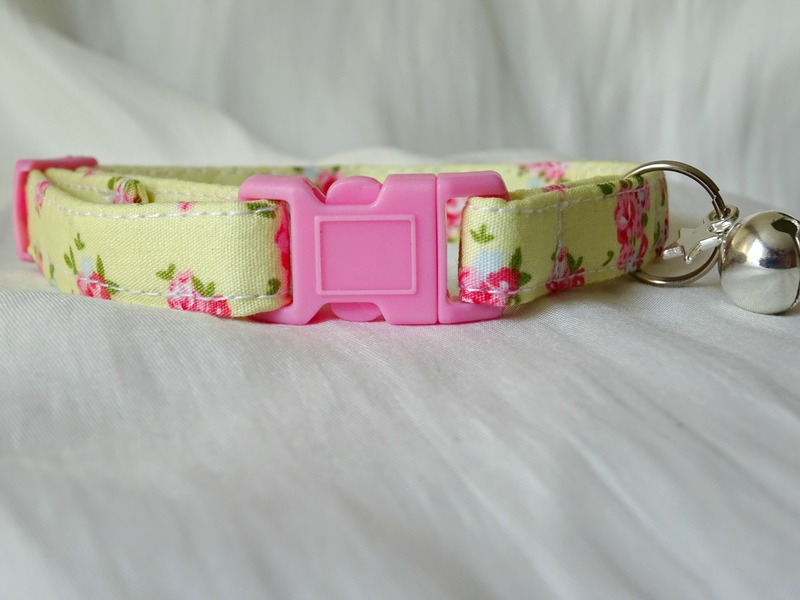 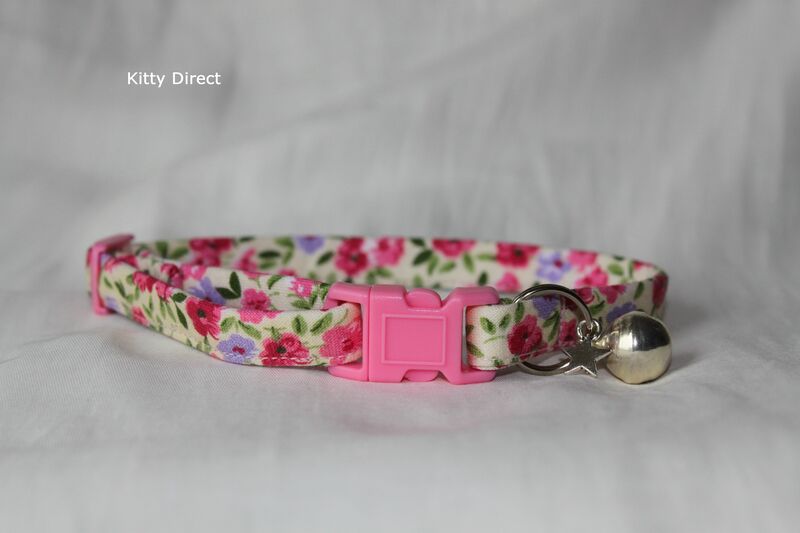 Our handmade cotton collars are high quality, carefully stitched and are all made with breakaway safety buckles that will snap apart if your cat or kitten becomes caught up in something. 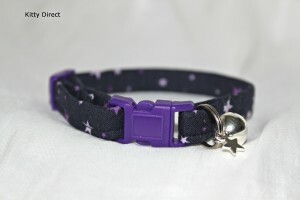 They also come with cat-size bells that aren’t too loud for your cat’s ears or stressful for your cat. 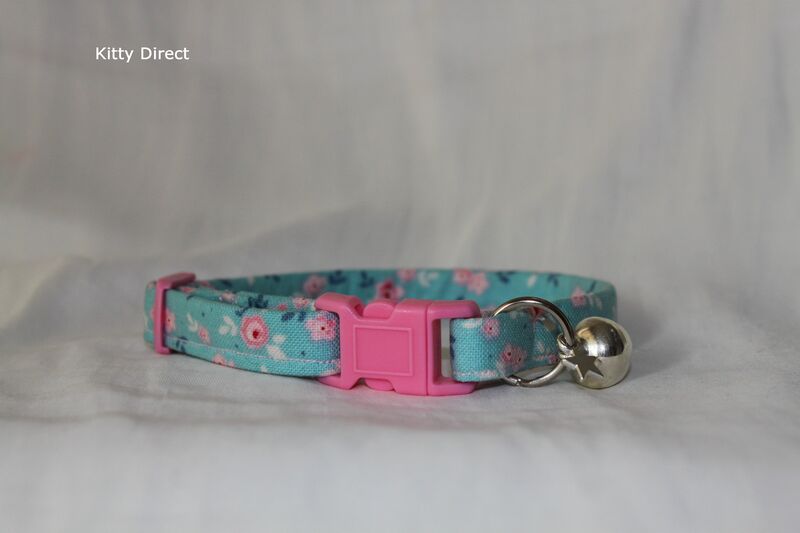 Our bells are removable as not all owners want their cats to have bells attached to the collar, and not all cats like bells. 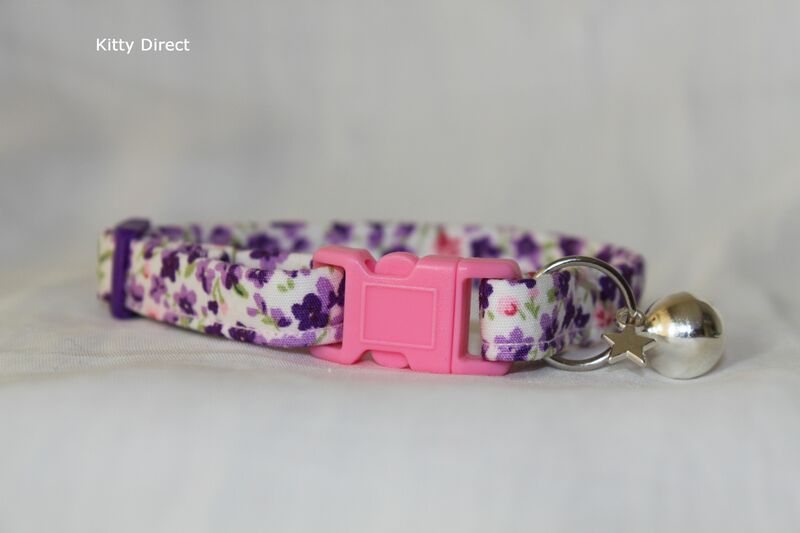 We also include a cute charm and a split ring to attach name tags. 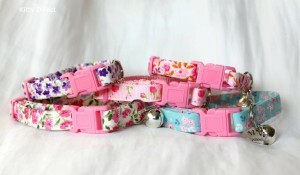 Popular collars include our floral collars that are available in beautiful cotton print designs and colours. For the boys we also make a lovely blue and white gingham cotton collar, stars print collars and a Japanese cotton designer print collar. All of our cat collars offer excellent value for money and we want to make them affordable for every kitty! Take a look in our cat and kitten collar shop as we make a variety of special, designer handmade cotton collars to order. 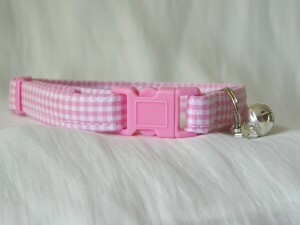 You can also supply your own fabrics and we are happy to make collars in the fabric that you like.